These 3 seedlings have had things go very wrong with them I dont know why. 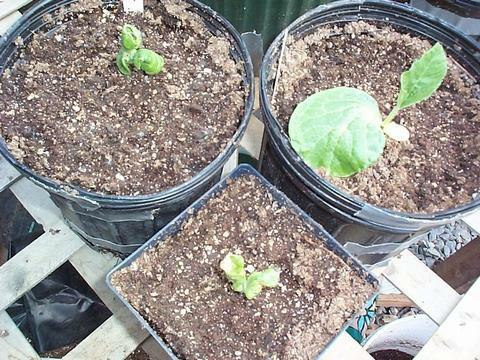 the one on the back right only had one starter leaf develope and looks very poor. The other 2 both are from the same pumpkin and the starter leaves are all crumpled and they both look terrible. If this has happend to anyone else let me know if you found the cause Matt.